PRODUCT DESCRIPTION: Small tube about the size of a roll or paper towels which has glue around it. 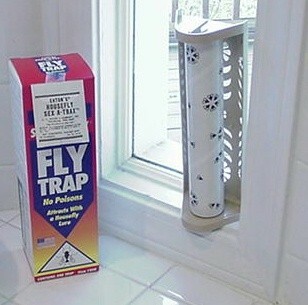 Special scent include both a food and a reproductive lure which attracts many types of flies. Set them out inside or outside where they are protected from the rain and sun. Flies will stick to the glue when the land. 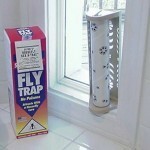 WHERE TO USE IT: Garages, patios, porches, kitchens and any place flies are active and you want to trap them out. RATE OF APPLICATION: Apply one for every 200 sq/ft of room.